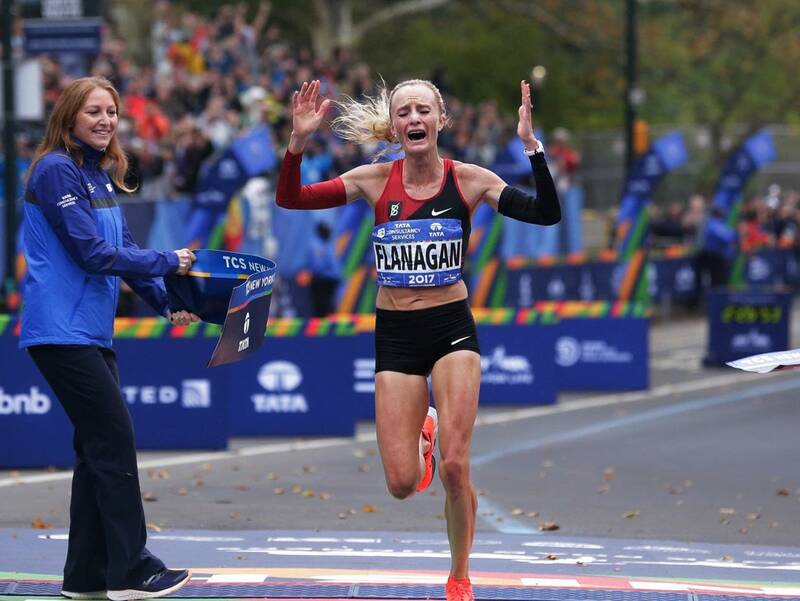 Updated 11:41 a.m. | Posted: 11 a.m.
NEW YORK (AP) -- Shalane Flanagan dethroned Mary Keitany on Sunday and became the first American woman to win the New York City Marathon since 1977, potentially ending her decorated career with her first major marathon victory. Keitany had won three straight New York marathons, but Flanagan pulled away from the Kenyan great with about three miles to go. Flanagan finished with an unofficial time of 2 hours, 26 minutes, 53 second, about a minute faster than Keitany. The American cried and yelled as she approached the finish line all alone. Flanagan finished second in New York in her first marathon in 2010 but hadn't run this race since. After a fracture in her lower back kept her out of the Boston Marathon, Flanagan trained hard for New York with an eye on Keitany. Flanagan called Keitany "the alpha racer" and said she was ready to "suffer dearly" while keeping up with the unpredictable Kenyan. Flanagan had said she may retire if she won New York. And the winner in the men's division was Geoffrey Kamworor of Kenya, who held off countryman Wilson Kipsang by three seconds for his first major victory.